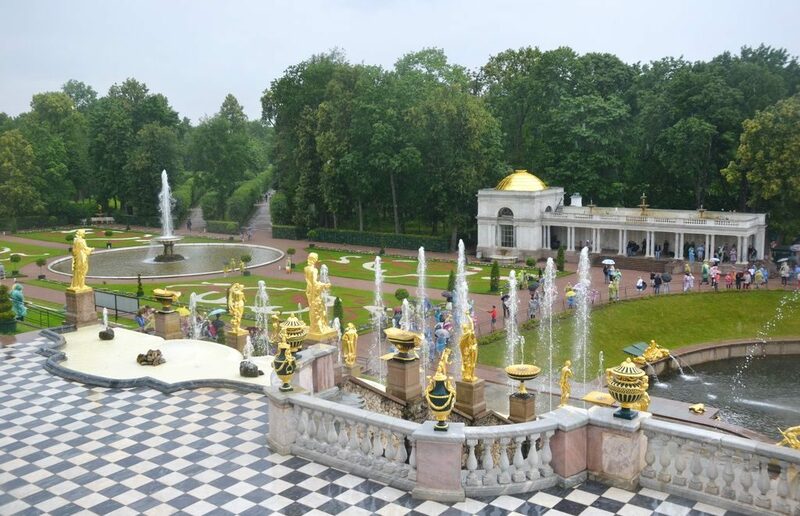 The Peterhof museum announced its ticket prices for 2019 high season which starts on 27 April and ends on 13 October 2019. The Park entry where most beatuies and fountains are located will cost you 900 rubles. There are no special prices for evening visits as it used to be in previous years. Peterhof ticket prices depend on age, nationality, tax residency and time of visit. For visitors of any nationality under 16 entry is free. The prices for the high season 2019 are valid from 27 April to 13 October (from October to the end of April the admission to the Lower Park is free). The date of Lower Park fountains technical opening is April 27, official opening is scheduled for May 18. The Lower Park entry price doesn’t include tickets to palaces, exhibitions and excursions. Please mind that if you come out of the park, if need to buy another ticket to enter. Schedule of the Peterhof’s Lower Park for the high season 2019: open daily 09.00 — 20.00, ticket offices close at 19.45. A special note for travellers getting to Peterhof (Petrodvorets) by hydrofoil. You arrive at the berth of the Lower Garden and need to buy a ticket to enter it. If you don’t buy the ticket, you will not be able to see Peterhof at all, even the territory with free admission (The Upper Garden). The hydrofoil fare doesn’t include the entry ticket. Other options to get to Peterhof include commercial minibuses (marshrutkas), pulblic buses and taxi.